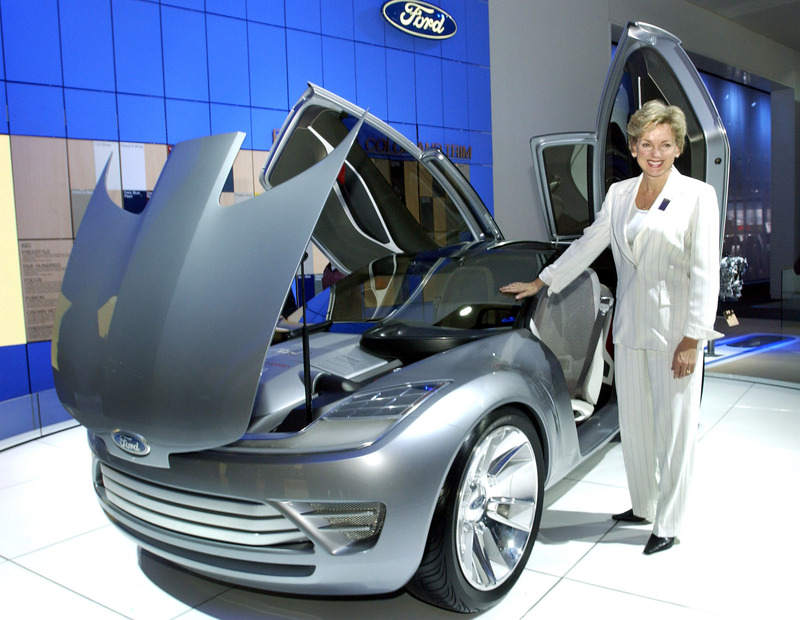 Michigan Governor Jennifer M. Granholm gives the Ford Reflex Concept her stamp of approval while visiting the automakers all new display at the 2006 NAIAS. the show through the eyes of an automotive journalist during Media Days by way of The Auto Channel's PRESS PASS COVERAGE...It's like having your own media credentials. CLICK HEREhref> to watch dozens of press conference and highlight videos, and for stories about every aspect of the show. DETROIT, Jan. 13, 2007 -- The 2007 North American International Auto Show (NAIAS) opens to the public today with new breathtaking exhibits, vehicles and incredible technologies never before seen in the United States. "This world class event has so much to offer everyone from car enthusiasts to kids wanting to see their first concept vehicle. 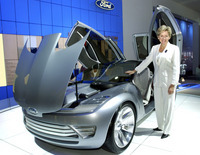 The event showcases cutting edge technologies mixed with interactive attractions and entertaining displays," said Robert Thibodeau, Jr., senior co-chair of the NAIAS 2007. Amidst the excitement of the NAIAS 2007, the safety of attendees is, as always, taken seriously. Security will ask guests at random to open their bags and jackets to scan for any restricted items. Metal detectors and police dogs also are present as another security measure. Public Days for NAIAS 2007 are Saturday, Jan. 13 through Saturday, Jan. 20 from 9 a.m. to 10 p.m. and Sunday, Jan. 21 from 9 a.m. to 7 p.m. There is no admittance one hour prior to show closing. Ticket prices for Public Days are $12 for adults; $6 for senior citizens (65 and older) and children aged 7-12 (must be purchased onsite). Children 6 and under are free with their parent and every child in a school group must have a ticket to enter the show. To help alleviate delays at on-site ticket booths, eTickets are available for convenient, online purchase at www.naias.com. Orders for eTickets provide a voucher to be redeemed for show tickets at the eTicket window, located at the Oakland entrance of Cobo Center. Tickets are also available through Ticketmaster at www.ticketmaster.com, or by calling (248) 645-6666. Click and Park is an online parking system that allows show attendees the convenience of purchasing a parking space in select lots near the NAIAS up to 24 hours prior to attending. Parking spaces can be purchased through www.ClickandPark.com. The new shuttle services will be available to NAIAS Public Day attendees at the Detroit Zoo, Greenfield Village, Greektown and Joe Louis Arena. Guests can park at the Detroit Zoo and Greenfield Village for $5 (parking at the Greenfield Village is free for Henry Ford members) and take a shuttle bus for $4 per person round trip directly to Cobo Center. The shuttle service will be available at these locations on Jan. 13-15, 20 and 21. A map with more information on parking locations will be available in local newspapers the Detroit Free Press and The Detroit News. * Check out the Chinese automaker, Changfeng, in their fist appearance outside of China. * Be careful of the real ice rink at the Mercedes Benz display; check out the giant ice walls at the exhibit.